Get the most out of GCash! Shop with GCash QR, buy load, pay bills, and do a lot more – all through your GCash App. Shop at any of our partner merchants using only your phone. Choose what you want to buy and simply scan the QR code at the counter to pay. Enjoy a 10% cashback for each transaction. Purchase load for anyone on any mobile network and enjoy a 5% cashback on all load purchases. Pay your utilities, credit card bills, government bills, and even tuition fees and get rebates on bill payments. Choose an amount, enter a GCash user’s number and send, without any transaction fees. Skip the lines and go straight to the theater by booking your tickets through GCash. Get out of an emergency by borrowing load for any network. Choose an amount to borrow and pay it back using your GCash balance. Activate a credit line within your GCash app. 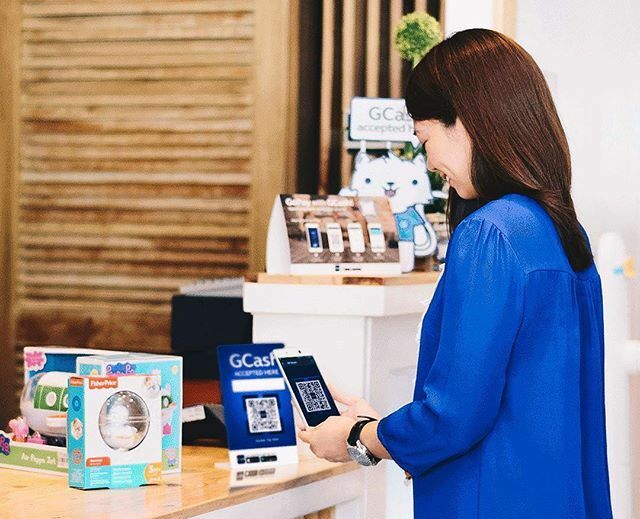 Use your GCredit in partner QR stores nationwide, scan with GCash QR, and pay later. Your GCredit is closely linked to you GScore, which is a trust score based on your GCash transactions. Use GCash more to increase your GScore, gain access to GCredit and even get higher limits! Withdraw your funds through a number of options. If you have a GCash Mastercard, just go to any BancNet or Mastercard ATM to Cash-Out. You can also visit any GCash Partner Outlet to Cash-Out. Lastly, you can transfer your GCash to your BPI Savings Account by dialing *119# on your phone. Shop at U.S. stores with GCash American Express, a secure virtual credit card. With GCash AmEx, you also receive a free U.S. address from My Shopping Box for all your shipping needs. You can also link your GCash account to PayPal, a global leader in online payments. Now you can have easy and fast access to your funds in PayPal with no additional charge.